Warri South Peoples Democratic Party leader, Chief (Dr.) Joseph Otumara has accused the All Progressives Congress leadership at the federal level of “insensitivity” and having “no ideology”, saying Buhari went about “telling lies that he would go for one tenure, now he’s seeking second tenure”. Chief Otumara while claiming that President Buhari “has failed totally”, mentioned the price of petrol (PMS) rice and depreciation of naira as areas where the present federal administration have performed poorly. The PDP Chieftain who came down heavy on the APC led Federal Government Thursday January 3, at the Warri South PDP Secretariat during the inauguration of the party’s ward campaign committees, declared that even if PDP candidates “are sleeping, we will deliver them in Jesus name”. Chairman of PDP Campaign Council for Delta South, Chief (Dr.) Roland Oritsejafor in a remark, stressed that it was time for PDP members to unite and bring the party back to “continue the good work”. 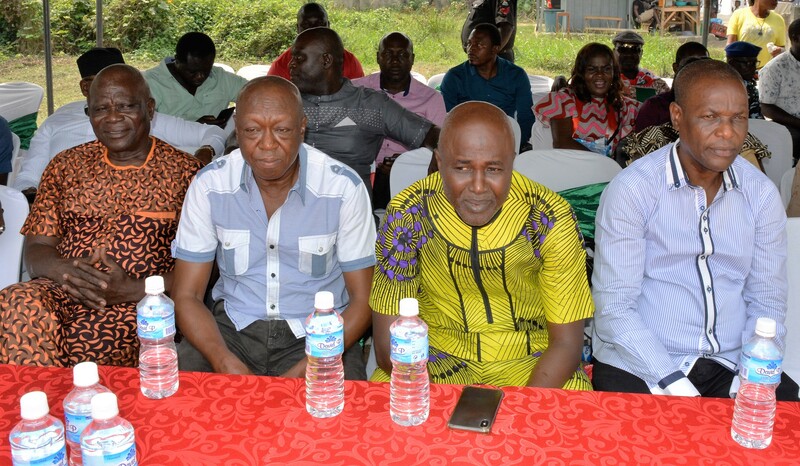 PDP Warri South Campaign Coordinator, Chief Israel Abido assured members of the party that everyone will reap from their labour once the PDP wins the 2019 polls at all levels. 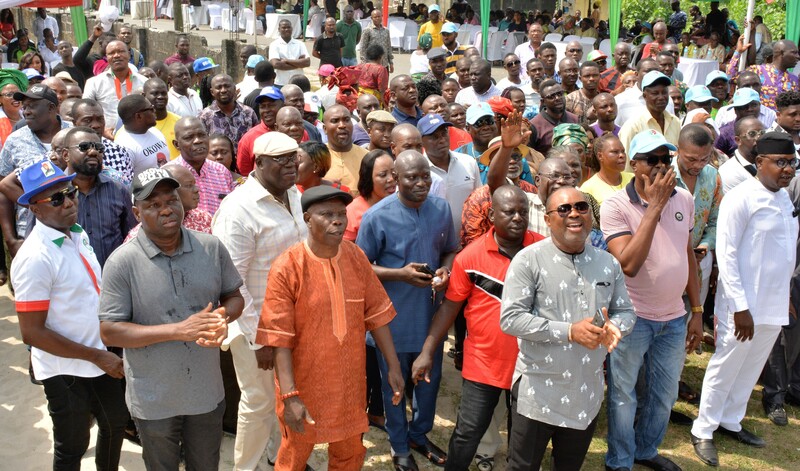 Warri South PDP Chairman, Mr. Johnson Agbeyegbe, noted that inauguration of the ward campaign committees will lead to the setting up of unit canvassers and ultimately kick-start the party’s grassroots campaign. In an interview, Chairman of Warri South Local Government Area, Dr. Michael Tidi, mentioned internal roads in Ode- Itsekiri and Okumagba Layout as some of Governor Ifeanyi Okowa’s footprints in Warri South that should make people of the local government re-elect him in the March 2 Gubernatorial/ House of Assembly polls. Responding on behalf of the 12 Wards’ Coordinators, Former Executive Secretary of Local Education Authority for Warri South, Hon. Griftson Omatsuli, stated that they were ready to justify the confidence reposed on them “including winning the opposition in our wards”. 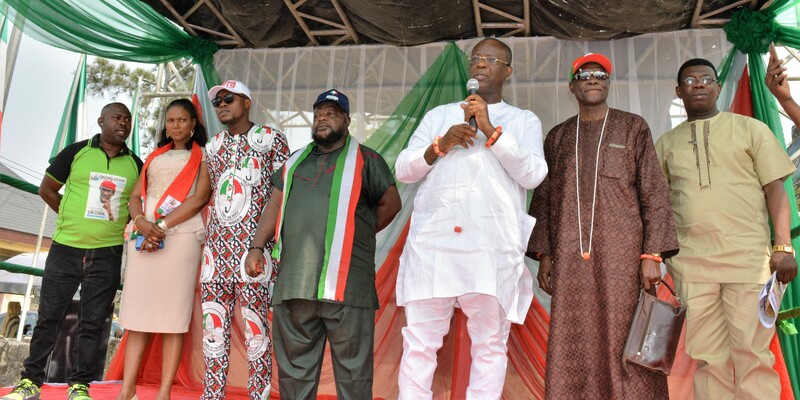 Fresh Angle International gathered that the ward campaign committees which comprises of 25 members each, have grassroots leaders of the PDP such as Mr. Vincent Uduaghan, Meyiwa Erewa, Lucky Pessu, Stanley Agbosa, Davies Akhigbe, Ejiro Okumagba, Marcus Udoyo and Sunny Popo as chairmen.